Last night I attended a graduation party and I am always amazed at how quickly my friend’s kids grow up. It was a beautiful evening in Orange County last night and a great first weekend of summer. Summer evenings are a great time to be outdoors here in southern California. I want to share with you an upcoming event coming up a fun outdoor event in our area this week. Please note that this is a sponsored post. Hoag Hospital Foundation’s 552 Club announced it will host its longstanding annual summer event, now called the Summer Movie Classic, at The Hangar in Costa Mesa at the Orange County Fairgrounds on Wednesday, June 26, 2013 at 5 p.m. The event will feature tastings from more than 30 of Orange County’s finest restaurants alongside a private screening of the Hollywood classic, Casablanca. Tickets are now on sale at hoagmoviescreening.org. I hope you can join me this Wednesday for this wonderful event. For more information and ticket pricing, visit the Summer Movie Classic website. For more information, visit Hoag Hospital Foundation. Disclosure: I am receiving a free ticket for this event. All opinions expressed are my own. That sounds so fun- I love Casablanca. Wish I loved around you! I would love to have an event like this in my neck of the woods. 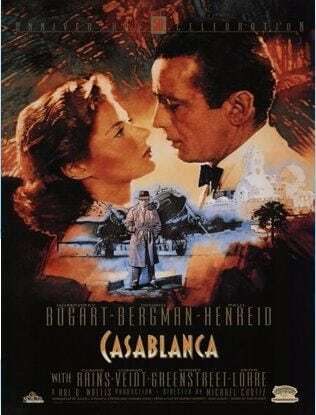 I have never seen Casablanca. I know I know lol It is on my list of movies to watch…I’m super behind! I’ll have to check out what is on Netflix! Hope you had a great weekend Raquel! Thank you Arelis! It is a good movie, but a little slow by today’s standards. Hope your weekend was great!